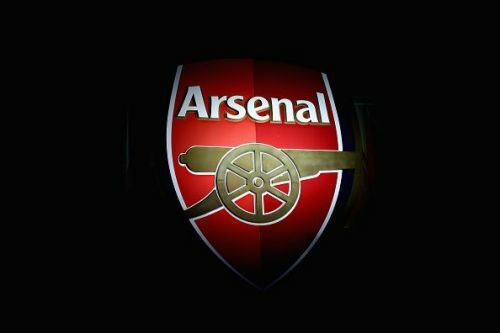 Founded in 1886, Arsenal FC is arguably one of the most remarkable teams of the English Football. Affectionately known as “Gunners” by its fans, Arsenal has witnessed many periods of unrivalled success throughout its history. In fact, the club holds a coveted record of having the longest ever spell of being in the first division having not been relegated since their early ages of 1913. In the domestic front, the club has won 13 first-division titles including the famous “invincible” in the 2003-04 season, 2 League Cups, 15 FA Community Shields, and a record 13 FA Cups- latest being the FA Cup 2016-17. Though in Europe, the club historically had a hard-luck with only one UEFA Cup Winners’ Cup and an Inter-cities fairs cup as their only victories in the continental stage. Following the era of world wars, Arsenal established themselves as an unwavering force of the English football by successfully clinching their (then record) 7th first-division title in 1953. However, the following years, known as the “long sleep” by gunners’ fans, the once reckoning force on the pitch, Arsenal failed to win a league or an FA cup for the next 18 years. It was during this time Arsenal saw a massive slump in their youth talent pool leading to almost 2 decades of mid-table mediocrity. The Inter-cities fairs’ cup victory in 1969-70 came as a breakthrough, and the club bounced back strong with a phenomenal league, and an FA Cup double in the 1970-71 season- officially making them as the champions of England. In the coming years, they’d see the club resurge to their early age glory before entering the Premier League, where they would go even beyond! The gunners transitioned to the Premier League on a high by winning the FA Cup, and League Cup double in 1993 and a European Cup Winners’ Cup in 1994. In 1996, Arsene Wenger took charge and transformed Highbury into an unconquerable fortress by bringing in various changes to the club’s functioning, training ways, and transfer strategies. The Frenchman also brought gems like Patrick Viera and eventually Thierry Henry (team’s record goal-scorer) from his homeland, and the rest is history. Regardless of anything, these spells of unprecedented success wouldn’t have been possible without the super talented players who joined the Gunners family and became a part of it for the rest of their lives.